Centro Centro de Cultura y Ciudadanía. 5Cs. Centro Centro de Cultura y Ciudadanía opened his doors to the public like a space to experience the city of Madrid. Madrid’s historical backdrop and inseparable companion to its most famous goddess, Cybele, the century-old palace that bears her name has reinvented itself and become an innovative cultural centre: CentroCentro. Situated in one of Madrid’s strategic hubs, CentroCentro is destine to be a singular space where the city can be experienced and shaped, with a matchless panoramic view of urban life that can only be enjoyed from its 70-metre-high observation deck. From its position at the heart of Madrid’s Art Promenade, CentroCentro is a voice and a showcase for all of the artistic diversity and wealth held by the institutions along this route. 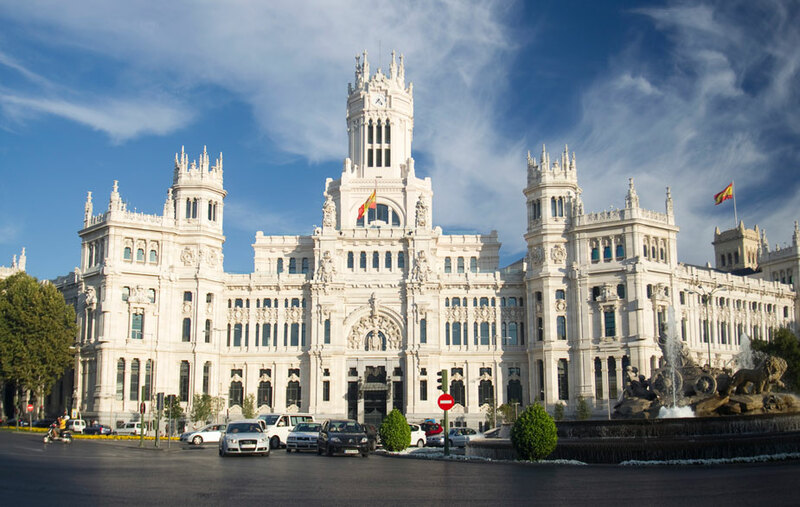 It’s also an excellent arrival terminal for visitors, where they can easily sound out the cultural life of Madrid in a 21st-century information centre; as well as a favourite meeting point for locals, a place where they can learn more about their city. In addition, CentroCentro is a forum given over to sharing ideas about life and urban dynamics. It is a space for discussing the city we live in today, and the city we hope to have tomorrow – and not just in terms of architecture or town planning, but in every area involved in city-building from the perspective of its citizens. CentroCentro wants to be a centre of dialogue and exchange that turns our attention towards the realities and experiences of other major contemporary cities, whether in spain or abroad, assessing what has now become a subject of global analysis and interest. It is a new intercultural meeting place, a new square for the citizenry that becomes a stage for participation, action, recreation and learning – a new factory of ideas.